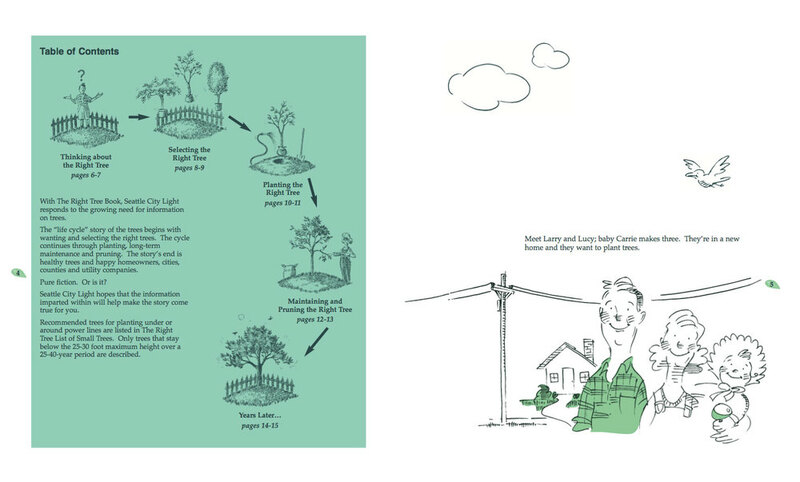 This public information booklet’s main goal is to inform people about small trees compatible with overhead electric power lines. Through cutting-edge horticultural information, the booklet expands on the goal, giving useful information to anyone with small or height-restricted yards and/or interested in regeneration of a thriving urban forest for future generations. First published in 1988, the booklet is still sought after and available online or in hard copy from Seattle City Light. Now out of print, the artistic ‘Tree Key’ poster graphically portrays a comprehensive and descriptive list of trees, under 25-30′ mature height, for Western Washington. Publication wins 1991 Merit Award for Communication from Washington Chapter, American Society of Landscape Architects.